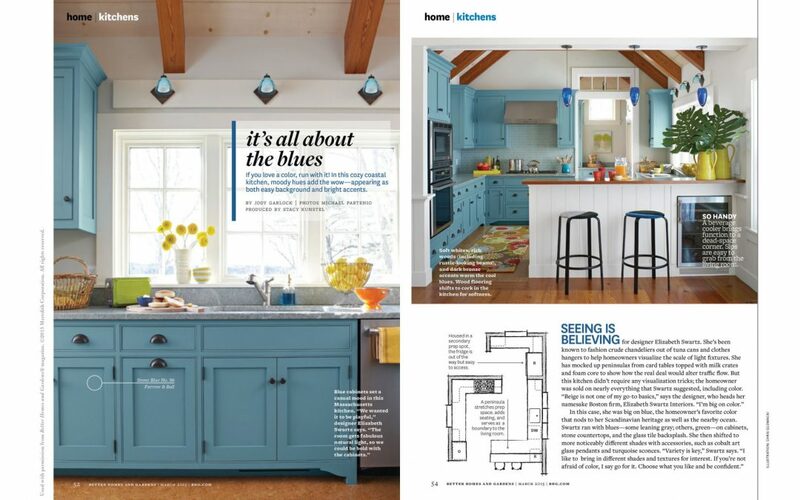 Featured in the prestigious Better Homes & Gardens, this stunning blue seaside kitchen is designed by the Boston interior design firm Elizabeth Swartz Interiors. Using the client’s preferred color palette and the ocean views as inspiration, shades of blue were applied to cabinets, countertops, the backsplash and lighting. “Variety is key,” Swartz says. “I like to bring in different shades and textures for interest. If you’re not afraid of color, I say go for it. 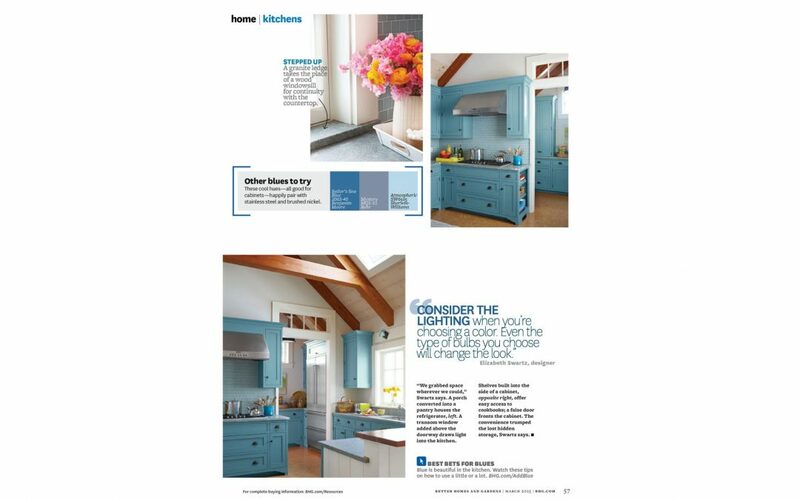 Choose what you like and be confident.” In addition to the focus on color, the article includes the kitchen floor plan, notably with two prep stations. The primary prep station is along a peninsula that separates the kitchen from the dining area and living room. There is also a secondary prep station that tucks the refrigerator and additional work space away so that it is less visible to guests.